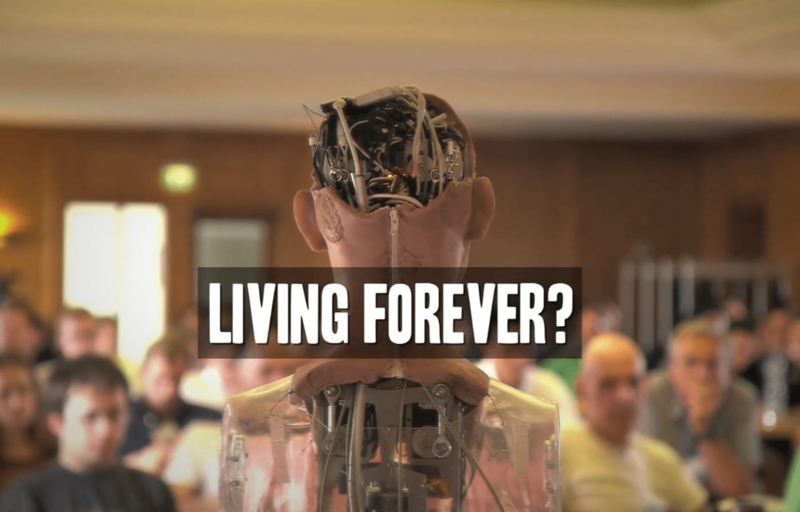 Could we live forever? - Nothing to Hide? Home/Future Projections, Privacy Control, RFID (Radio Frequency ID), Ubiquitous Computing/Could we live forever? An insightful short documentary that explores the notion of Transhumanism – moving into Super Humans through three key areas; longevity, intelligence and well-being – and ultimately into the Singularity; where artificial intelligence is interconnected and surpasses that of all human beings combined – with the potential of reducing humanity to mere ‘pets’.